On Saturday 2 September there will be no car parking at Keighley Railway Station or in Low Mill Lane due to West Yorkshire Police activity. Passengers who intend to travel by car and join the KWVR service at Keighley, are advised to avoid Keighley town centre completely and to park at Ingrow West Station, the next station along the line. Alternatively, there is ample parking at Oxenhope, why not start your journey at the terminus instead. Whilst there are a number of anniversaries coming along this year, there is one that Archivist, Paul Brunt, does not want to go un-noticed. 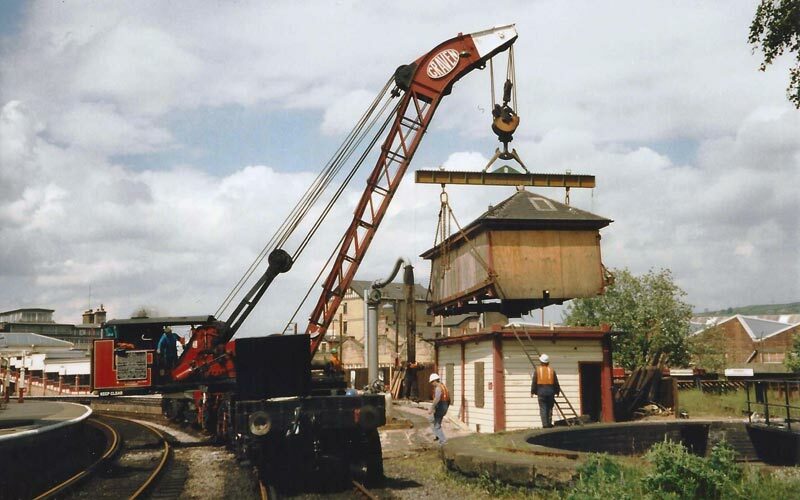 Seen here lit up as if in action at the Winter 2014 Steam Gala, it is 20 years ago, 1995, that Keighley Signalbox was lifted into place on the Railway, having last worked at Shipley on 25th June 1994 and moved to the KWVR the next day. This has been a long and thorough installation and it is anticipated that Keighley signalling will be commissioned in time for the 50 year anniversary of the opening of the line in 2018. Here is Paul’s report. 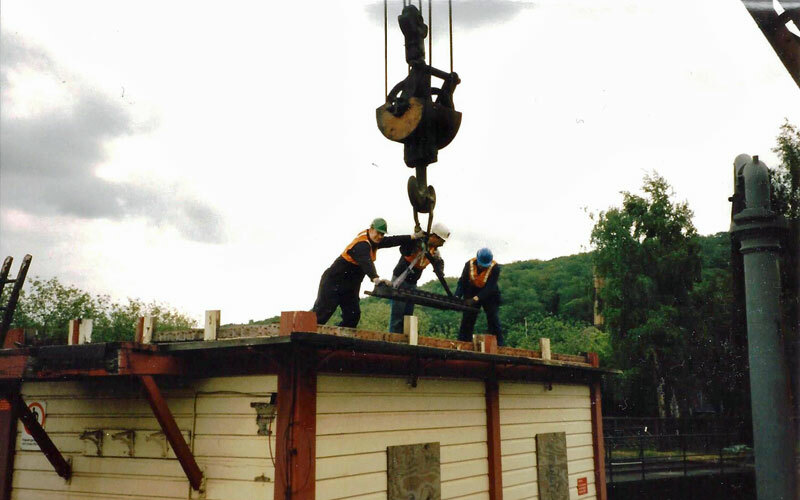 Doesn’t time fly, a collection of photographs from member F. W. Smith of Ilkley came into the archives last year and whilst cataloguing these I came across a sequence of images from the installation of the Ex-Shipley signalbox into its position at the end of Platform 3 at Keighley. The date of the lift was 25 May 1995. 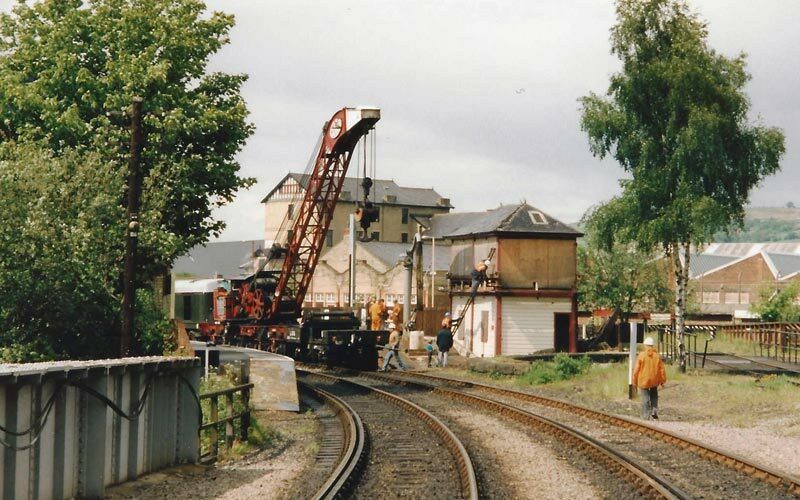 As can be seen from the images it was moved in two parts and used the BLS 50 Ton Craven Breakdown Crane No. 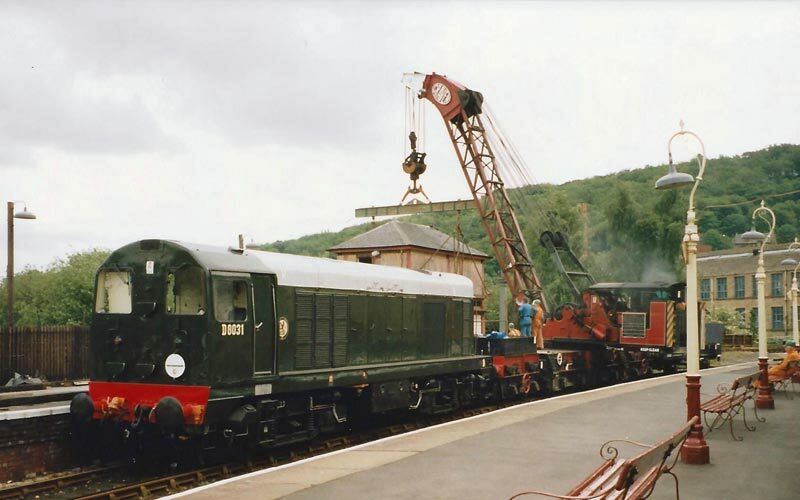 1015/50 hauled to site by the Railway’s English Electric Class 20 whilst painted green and numbered D8031. 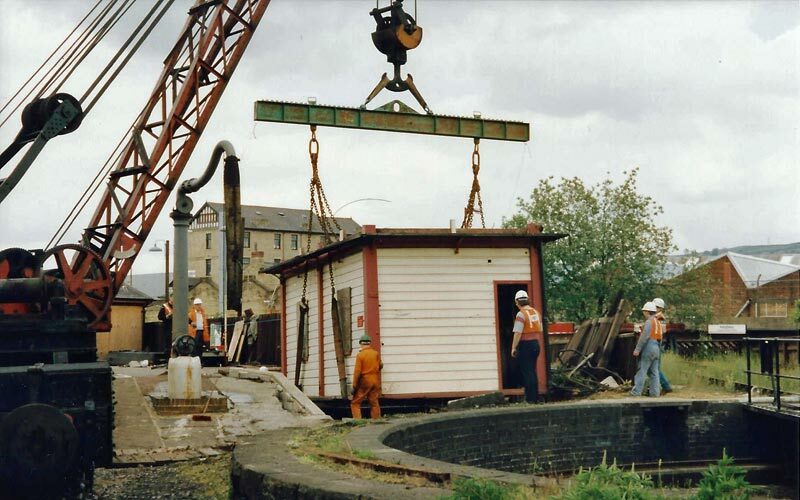 The signalbox top is still supported by the crane whilst D8031 waits for everyone to finish so it can take the crane back. The photographs show Terry Sykes refettling the locking dogs on Keighley turntable after damage was sustained at the Autumn Steam Spectacular. In addition Terry, also tested how much force is required to get it moving and then maintain its rotation. This is with a view to examining the claims that it span at high speed when up at Garsdale or Hawes Junction as it then was. Terry will be reporting on this in an article to be published in Push & Pull. Whilst all the major work was taking place further up the Valley and there were no steam engines needing their thirst quenched down at Keighley, a small band of volunteers gathered at Keighley to give the water column on Platform 3 a well earned spruce up . Although on a Midland branchline, the column has greater connections with the old GNR line to Bradford & Halifax. It was rescued by a group of members in the early 1980s from the National Coal Board’s Manvers Main Colliery near the Sheffield to Swinton railway line and appears similar in design to those used by the GNR/LNER. 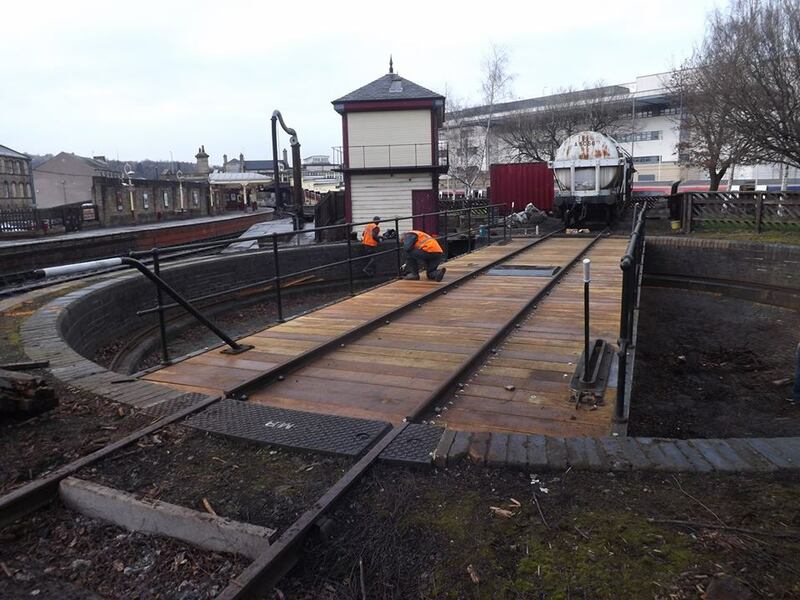 Keighley turntable gets a spruce up! 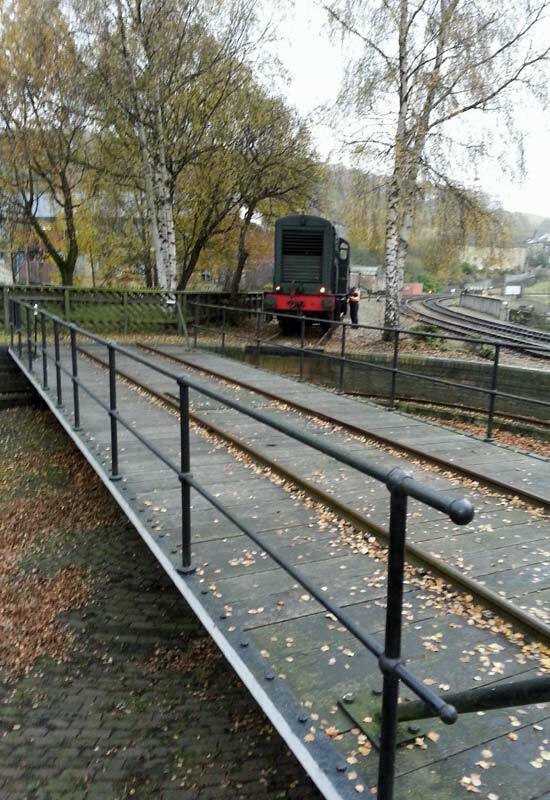 The Keighley & Worth Valley Railway is one of the few preserved railways to have a turntable. Originally built in 1884 for the Midland Railway and rescued from Garsdale on the Settle & Carlisle line in 1990, the Keighley turntable was installed in the long abandoned turntable pit at Keighley was now starting to need some attention to complement its fine surroundings. In recent days this traditional attraction has received the attention of Society workers and new decking has been fitted returning the table to its former glory. 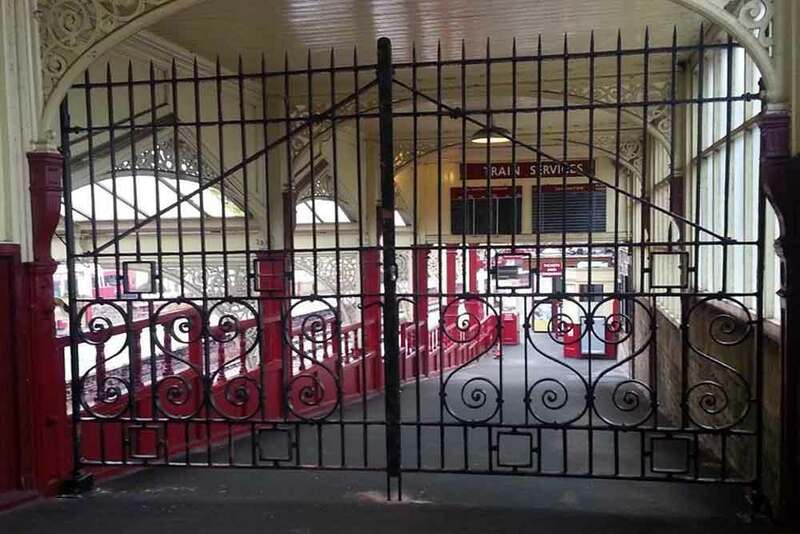 Having protected the platforms at Bingley Station for well over 100 years, the gates pictured here are now serving a new station in the heritage era. They have been erected at Keighley Station to improve security on Platform 4. In a classic example of heritage and the modern railway working together, they have been kindly donated by Network Rail and Northern Rail. It is believed that the gates were fitted at Bingley late in the 19th Century when the Midland Railway rebuilt the station. Guarding an opening a little larger than the ramp area on Platform 4, the gates were modified by SE Fabrication in Keighley to fit their new environment. It is good to see that another part of our railway heritage, however insignificant in the grander scheme of Railway Preservation, has found a new and vital role in an appropriate surrounding on a former Midland Railway branch line. 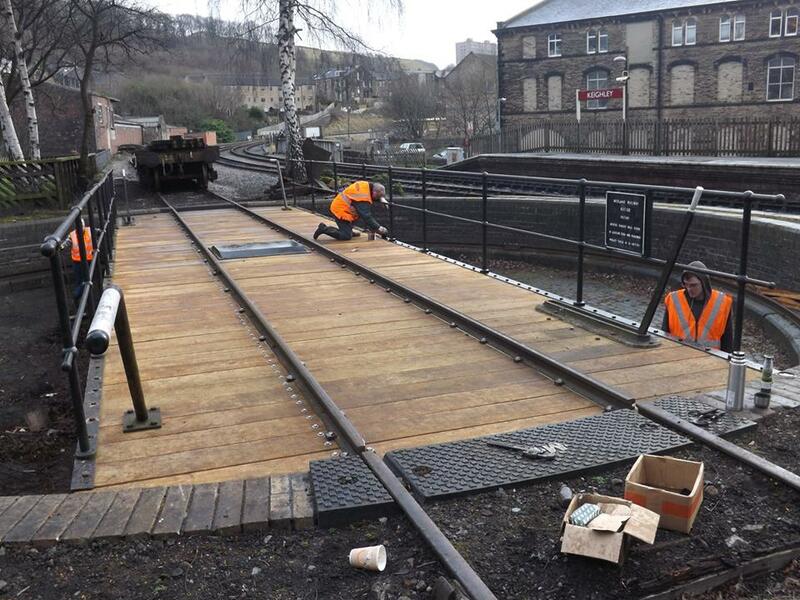 If anyone has further information on the installation of these gates at Bingley, we will be pleased to hear from you.